Click here for Part One: The Ruusan Pursuit! 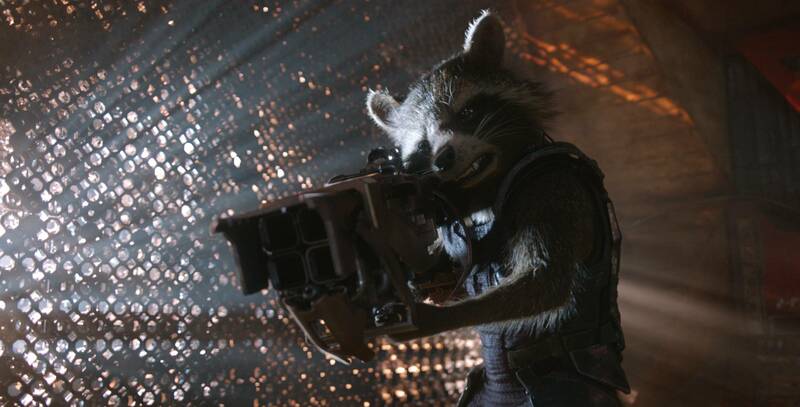 Survival instinct forced Needa’s eyes open at the electric sound of the galaxy’s deadliest weapon. Shaking with unfettered emotion from the guilt of letting his comrades fall, Needa looked up through tear-stained eyes and saw the silhouette of a hooded figure running up the side of the hill toward him. Black and as thin as a ghost, the Sith’s unmistakable dark robes flapped against the wind as it sped up the slope, holding its blood red lightsaber out to the side as it ran. Frozen with fear, Needa glanced down unrecognisably for a moment at his own weapon, sitting idly in the sand only inches from where he sat. In that brief moment he knew as a Jedi he had already lost. With all his hope drained, all his belief in the light had dissipated and stretched so thin, it had fallen out of his mind’s grasp. Perhaps a Jedi Master may have been able to fight back against this new enemy and retain the light, but not him. The Sith had left him no choice. He knew what he must do. Needa’s green eyes turned from light to dark, glazing over as he focussed inwards and began to embrace his recent loss. Fresh guilt clawed at his mind as he channelled his raw anger and a hidden dark energy began to flow and vibrate in his blood. An energy that without Sith training ran unchecked wildly throughout his body. Being suddenly both free of fear and a slave of hate, he quickly grasped his weapon without even looking down. The enemy may have stolen his Jedi training on a mental level, but his combat skills were still fresh in his muscles from the tough last year at the Academy of Light. Full of rage and gritting his teeth, he sprang to his feet and ignited his blue saber in one quick motion, lifting his head to face this new and cruel foe. But his eyes widened in surprise and horror as he saw that the Sith was already twenty feet off the ground, flying deadly and silent through the air towards him. For a moment, Needa first saw the face of his enemy. Barely visible under his hood, the Sith’s thin features grinned almost casually as he soared through the hot air toward him, the back of his robe violently vibrating against the hot breath of the Ruusan desert. Holding his own breath, Needa gripped the hilt of his lightsaber and swiftly turned the blade into a horizontal position at the last moment, before the full impact of the Sith’s downward charge came crashing upon him. The clash of weapons let out a loud hissing sound, sending a mixture of sparks from Needa’s blue weapon and the Sith’s red. The Sith’s jagged features were now much more visible as the two enemies glared at each other from across the crossed blades. Bathed in his saber’s red light, the Sith licked his lips and leaned in, putting unbearable pressure onto the young Jedi. But by allowing the new feelings of hate and anger to rise within, Needa grimaced and slowly stood to his full height until he was glowering menacingly down at the Sith’s deceivingly slightly diminutive figure. Using this to his advantage, the Sith slowly crouched down and swept Needa’s legs out from under him, breaking the lethal embrace. The Jedi came crashing down on to his back, the wind instantly knocked out of his lungs and leaving him facing the sky, blinded by the glare of Ruusan’s double suns. The light was immediately blocked out by the silhouette of the Sith leaning over him, weapon held high above his head, ready to smash down on Needa again. Just in time, Needa spun away along the ground, a cloud of dust left in his wake. More sparks covered his cloak as the Sith’s blade made a muffled hiss as it missed and hit the ground. Needa scrambled back to his feet, panting and sweating profusely. The raw and unrecognisable emotion poured through his veins, leaving him breathless and drained. Seeing this, the Sith turned to face him, grinning slightly and swinging his saber in a figure of eight as he casually strode back towards the Jedi, the weapon emitting a pulsating hum with each rotation. Sweat dripped into Needa’s eyes and he wiped his brow and tried desperately to assess his enemy, looking for logic lost within the swirl of anger that coursed through his veins. But the Sith simply smiled back, looking relaxed and untouched. Needa then realised the true desperation of his position. He’s playing with me, he thought. Suddenly, the Sith stopped, cocking his head slightly to one side, as if listening. A look of satisfaction spread across its face, and he stopped advancing and instead began pacing back and forth, waiting for Needa to make the next move. Needa swallowed hard. His throat felt scratchy in the dry air and his breathing had become sporadic. Not only this, but the blood in his veins felt, poisoned, somehow. I cannot control this, he thought. He felt exposed, raw and vulnerable. Yet there was something else, Needa thought. I feel…. “More powerful?” the Sith finished, that soulless smile again appearing through the shadow on his face. Needa froze and the assassin stopped pacing. They stood for a moment, only meters apart, but separated by leagues of experience and oceans of control. In the heat of the desert and in the midst of war, Needa began to understand what this creature was. Everything a Jedi could fear, this thing, this Sith, could harness the power to read minds. And control them, Needa thought. Focus Needa… His master’s voice whispered in the darkness of his mind. Do not forget your destiny as a Jedi. It is your chosen path. With the dark side still running relentlessly through his veins, Needa furrowed his brow and focussed his mind back to the light once more, gathering the last remnant from his mind as he tried desperately to reach back to his training and his master’s words. But the moment he did, it caused a blinding pain in his head, which spread across his face and made his mouth fill with blood. The Sith watched quietly, its grin widening as he saw the first trickle of blood fall from Needa’s lip. Its smile fading for a moment, the Sith paused and looked back at Needa, scanning the features of the Jedi. Needa’s skin crawled as he felt the Sith’s eyes move over his body and face, feeling his dark power working its way through his body and his mind. The Sith’s face went placid as his eyes moved back and forth, as if looking for something hidden away. Silence hung in the air for a moment, and the wind whipped Needa’s hair onto his face as the wind whipped across the top of the hill. Needa’s mind suddenly filled with the cries of his comrades once again. His master wailing and holding out his hand, his face burning alive as his fingers reached out in unbearable desperation. “No!”, Needa screamed as his feelings filled with anger and loss once more. But it was too late. His face contorted, unrecognisable from the hopeful young man that had walked into the academy. Seething red with rage, he ignited his weapon again, his young face bathed in the cool blue of the light saber, before screaming in rage and charging at the Sith. Feeling agile and light from the dark side vibrating quickly through his arms and legs, Needa spun round in an instant, flicking his saber back to attack position above his head. This time, he aimed his blade directly at the Sith, before sprinting forward again for another charge. This time the Sith did not move. “You are a misguided fool who only knows the teachings of foolish priests” he said with distaste. And with that he reached out his free hand and squeezed his fingers together in the empty air. Ignoring his pleas the Sith stepped closer to Needa, pushing his fingers further together as he did so. “There is no pride in defeat”, he said through clenched teeth. Hardly moving the rest of his body, the Sith lifted his arm slowly and with it Needa’s feet also began to rise above the ground. Fresh panic danced across Needa’s face as he looked down at his feet as they dangled helplessly just above the sand. “Now you will feel the real power of the force” the Sith said, “the real future of the galaxy”. With that he violently threw his arm upwards in the air, splaying his fingers and bursting into cruel laughter. There was a harsh ripping sound as Needa flew upwards through the air, leaving a cloud of Ruusan dust and sand swirling and dancing in his wake. The wind whistled in Needa’s ears as he continued to climb upwards in the sky, clawing at his neck and treading thin air at the same time. His eyes scanned around and he saw in horror as the desert quickly became distant and out of focus. He must have been a hundred feet in the air as his body continued upwards, his robes flapping wildly as he struggled to breath. Just as he thought his next breath would be his last, the invisible hand around his neck released and he gasped loudly, sucking in the thin but humid air, colour returning to his face. He hovered momentarily silent in mid-air, before the inevitable decline back to earth began. Panicking again, he looked down as the wind threw his hair upwards as he plummeted down to the planet’s surface. His speeder began to come back into focus below him, as he started falling towards the Russan shelter faster than blaster fire. Trying desparetly to remember his training, he focussed all his energy and gathered his strength to create a cushion with the force as best he could. But with panic and the dark side still dominating him, he struggled to focus as he closed in on the wooden hut. In a last attempt to save himself, he closed his eyes and held his palms out flat, aiming at the ground. Concentrating hard, he began to feel a force bubble forming in the few remaining feet below him. He felt his body slowing, but he soon realised it was not enough. The last thing he heard before cashing into the wooden hut was the tormenting laughter of his foe. With a thunderous impact, splinters and nails flew in every direction as Needa broke through the roof, breaking his arm against a beam, spinning him in the air before landing on his back, the wind flying out of his lungs once again. As the dust settled, Needa slowly opened his eyes to see he was laying on his side, looking through piles of rubble and wood. Through the mist and dust, he could see the Sith had stopped laughing and had begun walking back towards his broken body, using its dark powers to pull the splinters and chunks of wood away from Needa, exposing his body in the sun. Piece by piece, the splinters and nails flew away into the air, as the Sith grew ever larger. He could hear the footsteps of this dark enemy crunching the dirt in front of his eyes as the Sith used a gesture with his hand to remove the last of the wood. Free from the debris, Needa began slowly to get to his feet in a last determined stand against this terrible foe. The Sith stopped for a moment, almost admiring the stubbornness of Needa. The young Jedi got to his feet and drew himself tall despite the pain in his arm. He didn’t know whether the Sith’s influence had loosened or not, or whether pure desperation had forced him to attempt one last stand, but with body broken and without his vital weapon he know there was only one thing he could do. In one last attempt to survive, Needa reached inwards with the force and focussed his mind. Needa knew a forbidden but powerful tool in the Jedi arsenal. Knowing it could be his last thought, Needa reached into his heart and pulled every single last piece of energy in his body to created a force pulse that would potentially decimate most enemies. Banned by the Army of Light, due to its unpredictability in battle and its exhaustion of the Jedi that used it, it had been secretly taught to Needa by his mentor’s brother, Koorin Unn. Screaming like a Twilek child without his milk, he extended his arms forward and released all the force in his body and mind. The moment he did, the air in front of Needa began to warp and twitch like fabric, enveloping the gap between them as it grew quickly in size, distorting space like a tidal surge in the seas. Through the pulse, there was a moment when the Jedi saw the distorted image of the Sith grimacing coldly as he saw what was coming, just before the pulse slammed into his enemy with the force of fifty banthas. The collision sent a shockwave back towards Needa, throwing him backwards onto the ground, sending a new wave of pain up his arm as he landed. Exhausted and finally drained of all force energy, dark and light, Needa, sat up, hoping the Sith was laying there, body broken and torn. But as the air between them returned to normal, he saw the cruel, untouched image of his foe’s smile looking back at him. “There is no sport left for me here you foolish boy”, the Sith announced dramatically. “Go find your Jedi friends” he sighed, “tell them to prepare for my coming. Move quickly, for it will be soon and I am impatient to find a worthy adversary before the sun sets”. Needa was stunned by the Sith’s mercy. Or it is pity? he thought. Either way, the idea of abandoning the fight again was terrible to bear, but the force was a dwindling light inside him after using the forbidden pulse and he knew there was still honour left in finding the outpost and warning them of this new danger. And the loss of the outpost, he thought. Holding his arm, he slowly got back to his feet, the dust from the shelter falling stubbornly from his brown robes. Deciding to leave his weapon behind in case this creature changed his mind and stumbling slightly through exhaustion, he fled across the desert towards Outpost 5. 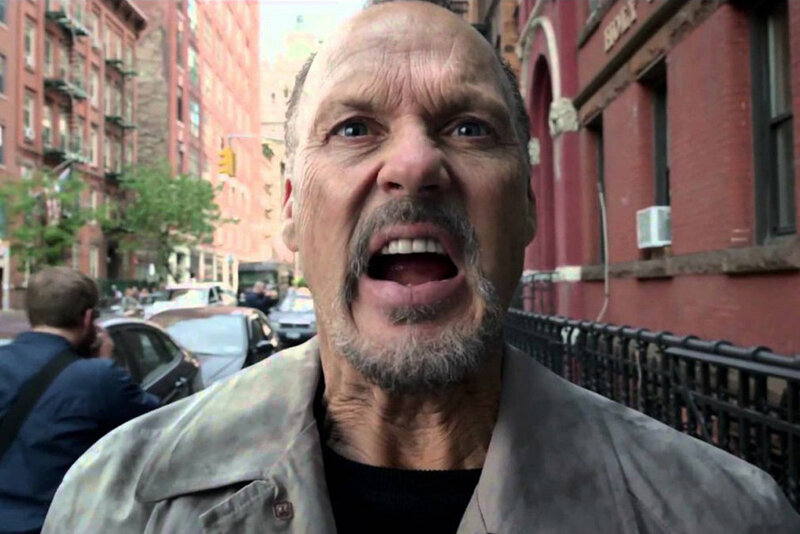 What was the best movie of 2014? With 2015 predicted to be a record breaking year for films, albeit mostly due to the inevitable sweep of box office receipts by the upcoming Star Wars comeback, 2014 may have escaped your eyes as a brilliant year for not just franchise instalments, but original films full of new ideas and superb performances. As it has taken me the best part of half of 2015 to finally feel like I have mostly caught up with the good-looking films of last year, I thought it would be great to compile my Top 10 Films of 2014. Have to admit there are one or two I still haven’t got around to watching, especially Nightcrawler, which is supposed to be brilliant. I just hope my choices don’t give me away as a Marvel fan boy! A real puzzler that flew in under the radar and kick-started 2014. 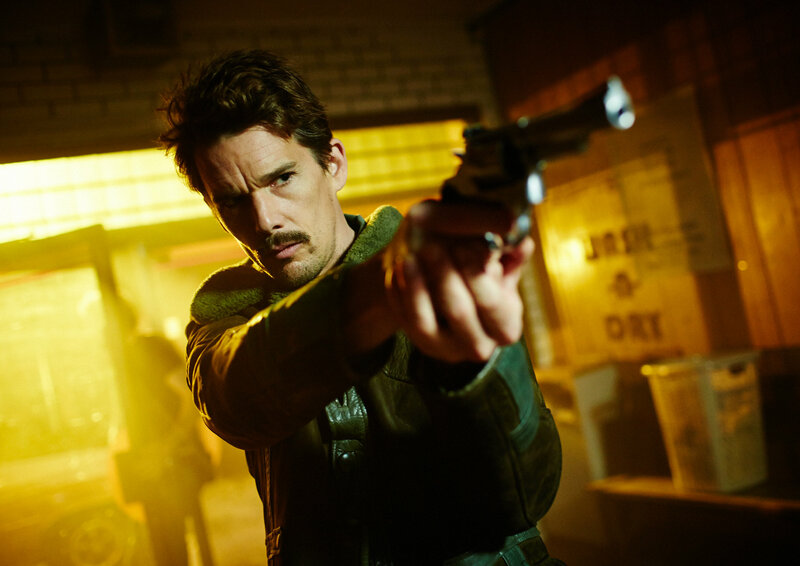 Ethan Hawke and Sarah Snook are superb as complex characters that drive the story in ways you just don’t see coming. If you like time paradoxes that wind you up and confuse to the point of pushing a HB pencil through your eye, then you will absolutely love this detective-sci-fi mix that leaves you wondering just what you saw. Love it. In my opinion simply the best marvel film so far outside of Iron Man. 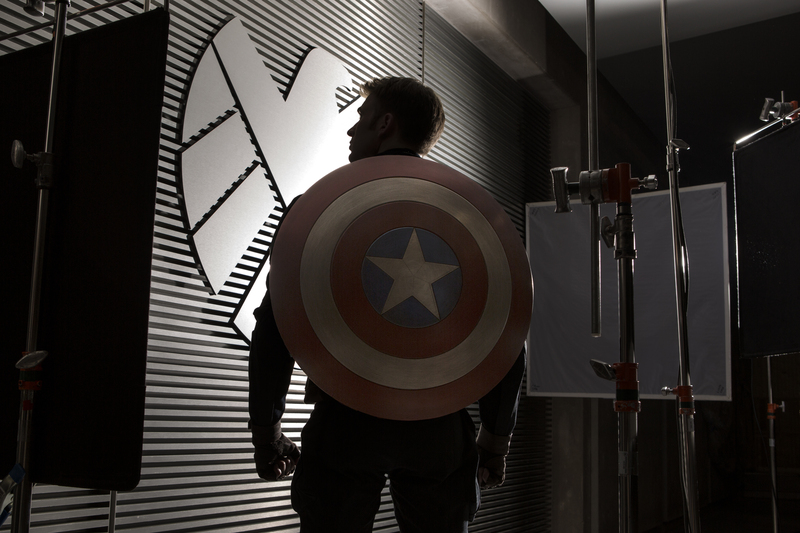 More like a spy thriller than a superhero film, Winter Soldier upped the stakes for the unloved superhero and showed us how best to market ol’ cap. As soon as his boot connects with a bad guy and sends him flying through the air, you know you’re in for a improvement on the First Avenger, with the expert pacing, dialogue and action all coming together achingly well. If you still haven’t seen it yet, then get on it. 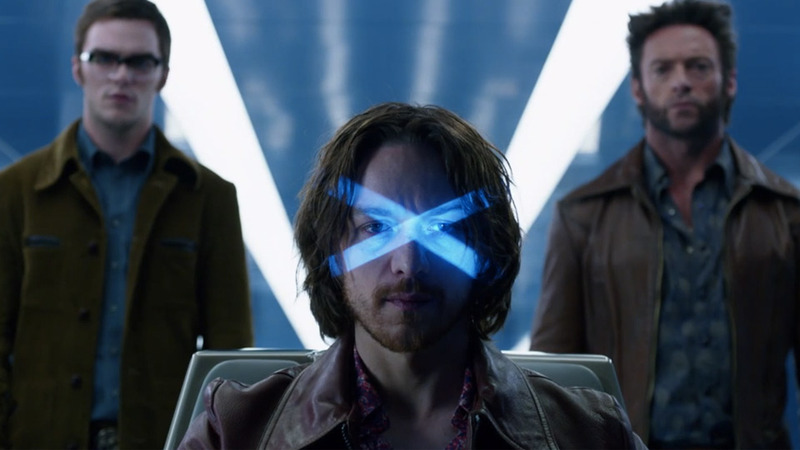 It may be a remake of Terminator 2 and have a ludicrous subtitle, but Days of Future Past in fact felt like a combination of all the great aspects of the X-Men franchise and the sort of darkly-funny-sequel vibe we have learnt to enjoy. Taking X-Men to another level again, Singer’s return to the franchise may not deliver the smoothest plot in the world but simply seemed to resonate with many fans, old and new. Plus Quicksilver was awesome, just a shame he was too overpowered to stay in the film. My concerning Cruise bromance aside, Edge of Tomorrow came out of nowhere as one of the best action and sci-fi films seen in years. You would be hard pressed to find someone that didn’t enjoy Cruises’ hilarious transformation from coward to hero, coupled with Blunt’s superb performance as the Full Metal…well you know the rest. 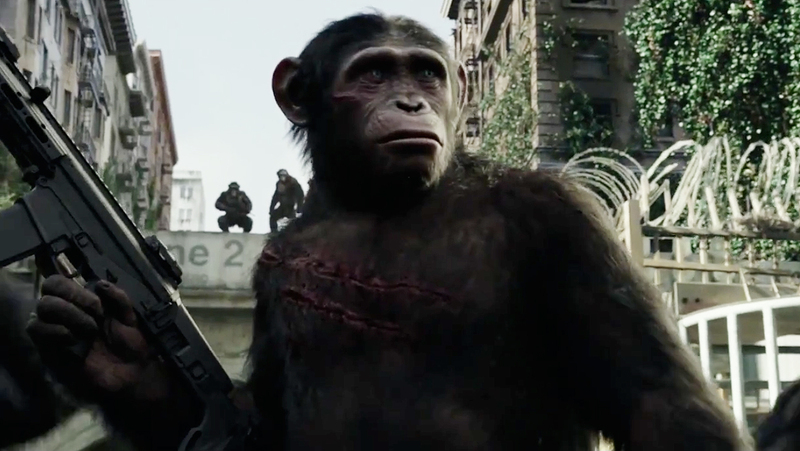 Even though in some ways I was slightly disappointed with the ambition of Dawn of the Planet of the Apes, I cannot deny how important the film is in terms of paving new ground for CGI and motion capture. Plus it has Gary Oldman shouting a lot, which is always good to watch. The soundtrack alone is enough to take this quirky entry in the marvel universe into anyone’s Top Ten for 2014. Famous for being full of characters nobody has heard of, Guardians is fun, colourful and full of a great cast and one giant tree-thingy. Not only was it much needed light-refreshment at the time, but Guardians also proved that stick a Marvel logo on, and it will sell, and sell well. It is simply a national travesty how many people have not seen this film yet. 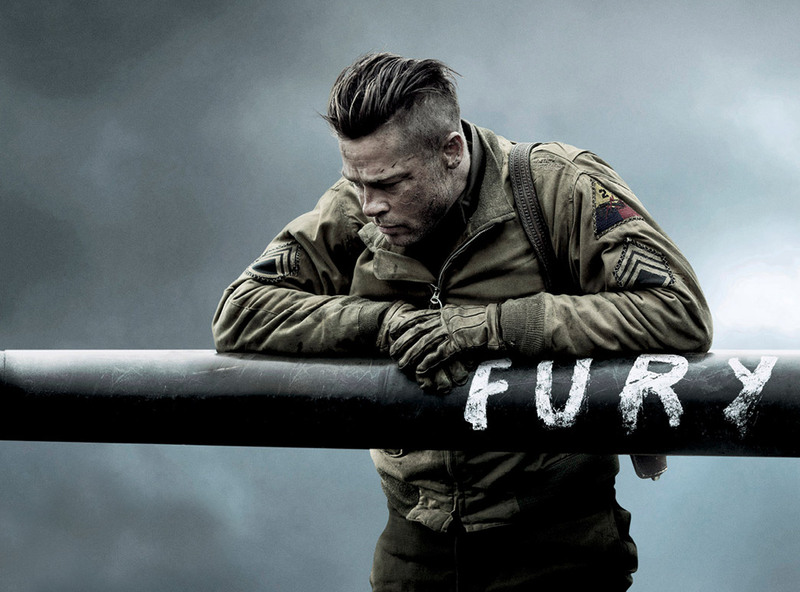 Probably the most underrated war movie of the twenty first century, Fury is a visceral, compact and brutal film that covers well-tread battlefields but with a whole new cinematic take. Plus it has some of the sickest tank battles that even leaves Saving Private Ryan’s final moments for dead. I have watched Nolan’s sci-fi epic at least five more time since I first reviewed it, with each viewing allowing more “brain time” to absorb a previously unexplored avenue or trope that I hadn’t seen before. It isn’t the most water-tight space expedition in terms of story, but the visual and scientific ambition mixes with an emotional vein that runs through the heart of the movie, making it both ground breaking and audience-dividing all at one. The robots were really cool as well, big Tars fan. I hope you enjoyed my Top ten movies of 2014, let me know of any I missed!